Jayda Marie Lindsley was born January 5, 2018 and delivered by Dr. Ankarlo. 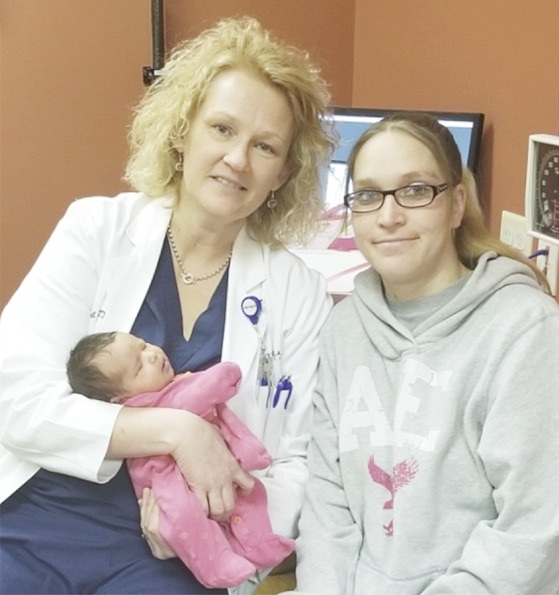 Jayda is Cumberland Healthcare’s New Year’s baby! Baby Jayda Marie weighed 6 lbs. 12 oz. and was 18 ½ inches long. Cumberland Healthcare presented Mina and Jayda a gift certificate from Cumberland Healthcare and a lovely gift basket from the Volunteer Partners. Congratulations Mina on your precious little one!